2005 Royal Rumble | Vince McMahon Tears Both Quads During His Entrance! 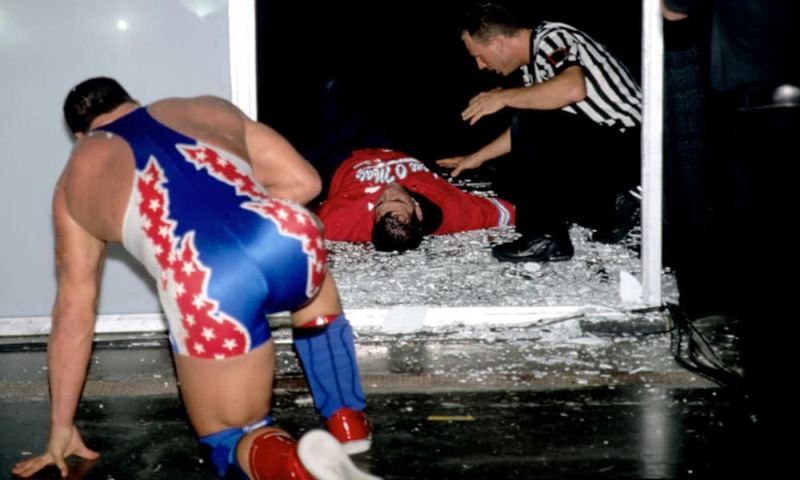 Chaotic endings to wrestling events can really make for great television – the unplanned Vince McMahon injury suffered at the 2005 Royal Rumble is a perfect example of this! Flash forward nine years. All of WWE’s plans for a havoc-wreaking finish to the 2014 Survivor Series pay-per-view were executed flawlessly. The traditional Survivor Series five-on-five elimination match was Team Cena versus Team Authority and it had come down to Dolph Ziggler of Team Cena against Seth Rollins of Team Authority. Controversy was building because Triple H, not even part of the match but in the corner of Team Authority, was doing everything he could to make sure Team Cena didn’t come out on top by stopping the ref’s counts, interfering with the match itself, attacking Dolph and not giving him a chance to win. That was until Sting made his long-anticipated WWE debut, decades in the making. Triple H and Sting stared down in the middle of the ring for a chilling minute before Sting laid Triple H on his back after hitting his Scorpion Death Drop, helping Team Cena to secure the victory by laying Dolph’s exhausted body over Seth who was in the same state of exhaustion. This put The Authority out of business (albeit, temporarily) and the chaos of it all was fantastic. Well, that’s the beauty of a chaotic finish when it’s all planned. The 2005 Royal Rumble was a completely different story. Incredibly chaotic, but it wasn’t planned that way whatsoever. John Cena and Batista were the only two competitors that remained in the Royal Rumble match and they were battling it out for a chance to main event WrestleMania 21. Batista hurled John Cena up for the Batista Bomb, though this is when things went awry. 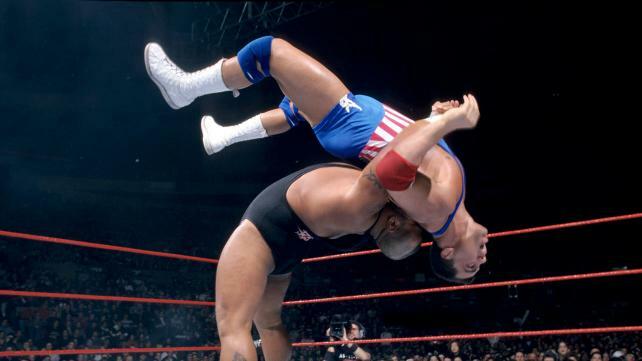 The momentum of lifting up a heavy guy like Cena had legitimately forced Batista back a few steps, causing both him and Cena to topple out over the top rope at the same time. 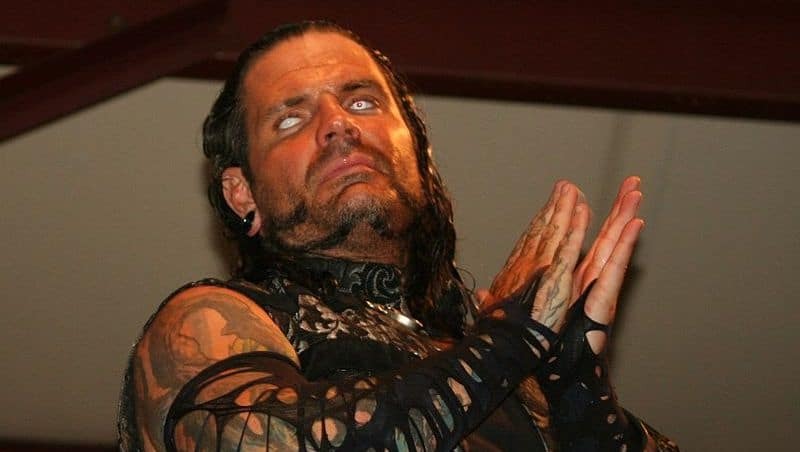 Former WWE referee, Jimmy Korderas, had an inside scoop on this situation as he was one of the officials assigned to the match. Jimmy explained in an interview with Fight Network that they had planned for Batista and John to fall back like that after Batista hurled Cena up for the move, but Batista was supposed to hang on to the rope as they fell. Obviously, things weren’t going to plan for WWE but luck was fortunately on their side in the way Cena and Batista hit the floor. It really was difficult to decide who hit first, and it could’ve easily been ruined had Batista hit the ground first, though luckily, this wasn’t the case. WWE had something to work with and they dealt with the situation very well. In fact, if you were watching it for the first time, you might have thought it was all supposed to happen this way. The RAW referees immediately went over to fellow RAW superstar Batista and raised his hand. The SmackDown referees raised fellow SmackDown superstar John Cena’s hand in response. It all looked natural and credit must go to all those involved in a backstage capacity, the officials, and of course John Cena and Batista. Jimmy Korderas opened up on the back and forth between the referees. “It was a brand split at the time. 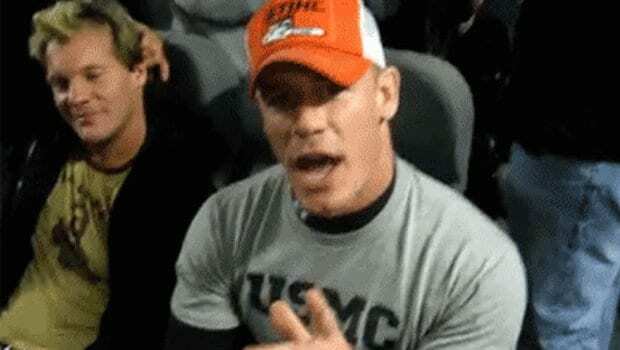 John Cena was the SmackDown superstar, Dave was the RAW superstar. The RAW superstar was supposed to win. So the RAW referee went over automatically and raised Dave’s hand because in his mind that was the finish of the match — When they saw it back at gorilla, they noticed that the guys landed at virtually the same time, so we in our earpiece we heard, ‘A SmackDown ref, go raise John Cena’s hand because they landed at the same time!’ So, you know, just instinctively I ran in the ring and raised John Cena’s hand. What happened soon after was just as big as the accidental double elimination, maybe an even bigger accident in terms of how memorable it was. The boss himself, Vince McMahon came storming down to the ring, furious as ever. 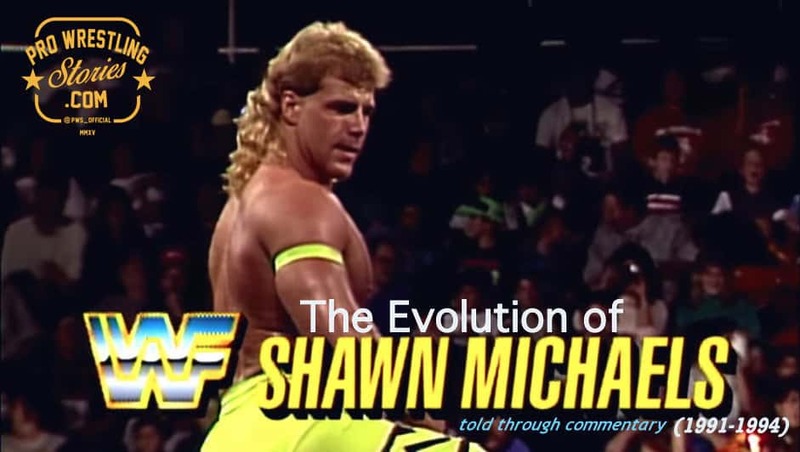 As Vinnie Mac got closer to the ring, he picked up his speed and charged underneath the ropes. 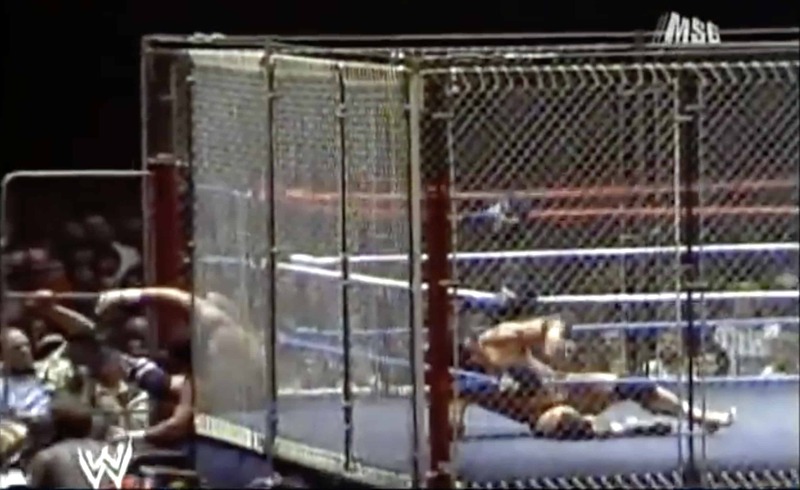 The then 59-year old charged a bit too hard, hitting the ring very awkwardly, tearing both of his quads in the process. He then just sat there in the ring whilst the officials, Cena and Batista looked down at him. 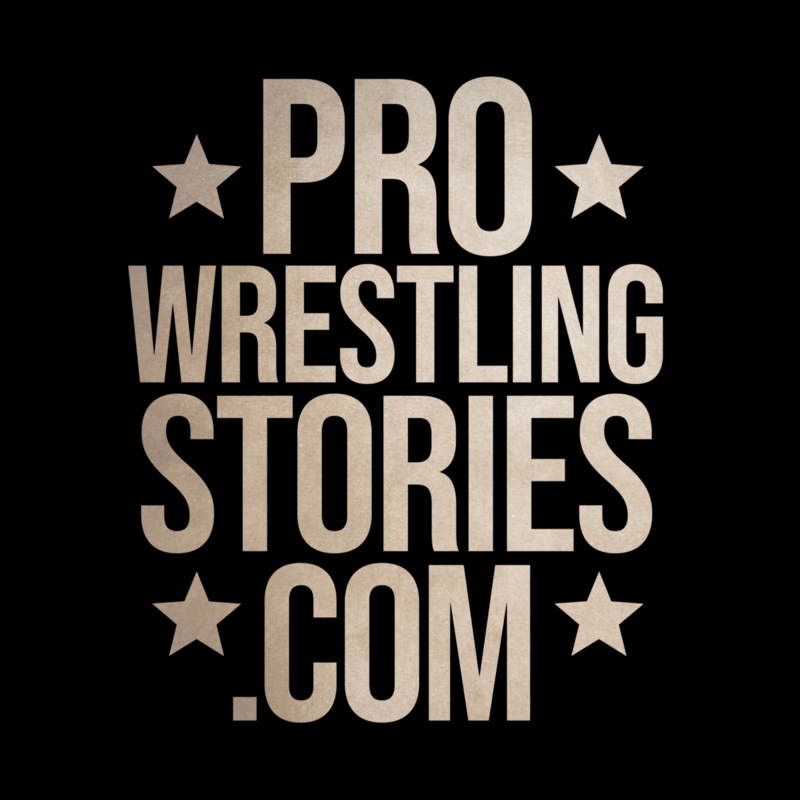 Jimmy Korderas later put to words his first-hand experience of witnessing Vince severely injuring himself. 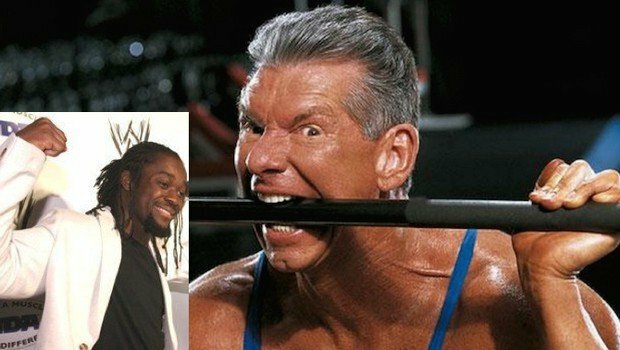 Many fans found amusement at Vince McMahon calling what happend at the 2005 Royal Rumble a “stunt,” but it comes as no real surprise that he said that. Vince is a very proud man and calling it a stunt gave it an easier to take in feeling about it. The crazy boss didn’t stick to the words that his character had come and gone. Barely over a year later, he wrestled Shawn Michaels at WrestleMania 22 in a no holds barred match. This was an intense feud that lasted the majority of 2006. Vince, now 72 at the time of this writing, has mostly retired the character. Mr. McMahon still showed he can turn it on when he wants to, though. 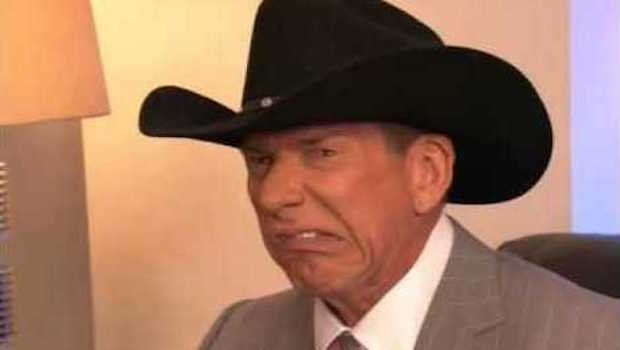 On the September 12, 2017 edition of SmackDown Live, Vince McMahon was involved in a segment where Kevin Owens beat him down, busted him open with a headbutt, and landed a “bullfrog” splash on him. They don’t come any madder than Vince.